DIY Pest Control: A Quick FAQ - Yes Pest Pros, Inc. DIY Pest Control: A Quick FAQ - Yes Pest Pros, Inc. If your first reaction to a cockroach, mouse, ant or other pest problem inside your home is to head to the hardware store and grab the biggest trap or spray can you can find, you could be in for a real shock. Not only is the effectiveness of DIY pest control in question, but the safety of it is at issue too. Professional pest services are the only way to truly eliminate any problems you may have. 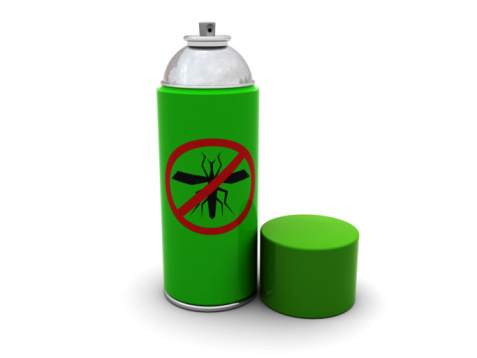 Why is DIY pest control less effective? For most, heading to the hardware store is the cheapest way to handle the job, but despite the claims on the label, it can’t actually handle the task at hand. Sure, it may be able to kill the pests you can see, but the chances are good that it can’t treat the colony of pests you can’t see. Take cockroaches, for example. A DIY spray may keep them off your counters, but it certainly won’t kill the thousands that are living inside your walls. Pest extermination from a company you know and trust, though, will not only eliminate any entry points for the cockroaches as well as food sources, but they’ll also keep the colony from spreading and make certain all of them are dead before the treatment process ends. Why is DIY pest control unsafe? You wouldn’t want your doctor to use a chainsaw to take off a wart, right? DIY pest control works in the same manner. It uses serious chemicals in a sweeping method that’s meant to capture as many pests as possible. Just as using a chainsaw might do more damage than it should, DIY pest control accomplishes the same thing. You might manage to kill the problem that you can see, but in the process, you’re simply spreading poison throughout your home. Is DIY pest control ever a good idea? Absolutely not. If you spot a problem, your best bet is always going to be contacting residential and commercial experts on the subject. Not only will they help you tell the difference between a stray hitchhiker and an infestation, but they can also recommend the best treatment approach and prevention techniques to make certain the problem doesn’t happen in the future. You can bet the back of the spray can you pick up at the hardware store isn’t willing to do that for you. There are a few things in life that you’re better off not attempting to handle on your own. Pest control is certainly one of them.